It’s March 2011 and Portugal makes one of its infrequent visits to the pages of the international media. Rising borrowing rates and pressure from the international financial markets, combined with an increasingly unpopular ruling party, make it increasingly likely that Portugal will become the next of the ‘profligate PIIGS’ to succumb to the contagion of the Eurozone Sovereign debt crisis. Within four months the Troika will be called in and the country will embark on a harsh ‘Economic Adjustment Programme’ – economics-speak for the raft of austerity measures and structural reforms on which bailout packages are conditioned. Fast forward to today and Portugal again has once again become the object of media attention, this time due to being in the improbable position of having politically rejected austerity while the economy appears in good health (relatively speaking), with the country running its smallest budget deficit in 40 years. 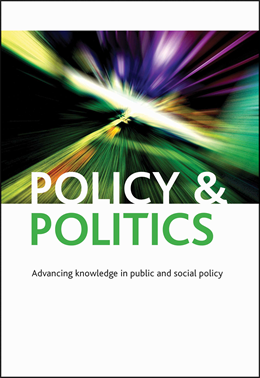 In my recent paper for Policy & Politics I discuss how these events came to pass and in particular how the strategy of depoliticising austerity – attempts by politicians to deny the political contestability of austerity – were fundamental in constructing the political opportunities for austerity to be opposed. As with many countries, in the wake of the multiple crises to arrive post-2008, the Portuguese public were told there was ‘no alternative’ to austerity – the crisis required decisive action. Not only were austerity measures the condition of receiving bailout funds but years of overspending by successive administrations had severely weakened the economy to the point where fiscal discipline was no longer a choice but an economic imperative. If the economic point was not clear enough on its own merits, the administration of Pedro Passos Coelho could point to the turmoil experienced by Greece as the consequence of resisting such measures. Portugal, in contrast, would become the ‘good pupil’ of austerity, not merely implementing the wishes of the Troika but going beyond what even they asked. Austerity in these terms was not a policy to be politically contested but a matter of a ‘technical fix’, one overseen by both international lenders and its domestic proponents. Actors and groups who sought to oppose such policies, whether it was trade unions calling for strikes, citizens mobilizing on the streets or even the constitutional court vetoing reforms, were duly painted as being either removed from reality or else acting in an overtly ideological and political manner which put national stability at risk. The strategy of depoliticization was susceptible to challenge on two fronts, firstly in terms of timing – the invocation of crisis was fundamental to the narrative of the necessity of austerity but the urgency of such moments is fleeting and are themselves open to contestation, particularly when the supposed ‘cure’ appears to increase social hardship and suffering. As Portugal exited the Adjustment Programme, and the immediate fear of economic collapse passed, the political opportunity for opposition to austerity was reopened. Secondly, the shifting ground of what is politically contestable provides opportunities for new mobilizations and coalitions to form. In the Portuguese case this took the form of an unprecedented coalition of anti-austerity parties of the left who could now benefit from presenting a united front against austerity policies. Adam Standring is a doctoral candidate at the Faculty of Social and Human Sciences in the New University of Lisbon, Portugal (FCSH-UNL). He is also a researcher at the Portuguese Institute of International Relations (IPRI) and a member of the PSA’s Anti-Politics Specialist Group. He is the author of Depoliticising austerity: narratives of the Portuguese debt crisis 2011–15, recently published in Policy & Politics. If you enjoyed this blog post, you may also be interested in reading Rethinking depoliticisation: beyond the governmental by Matt Wood and Matthew Flinders.